Forune Online, by Beth Kowitt, @bethkowitt, December 7, 2015. Last month Taco Bell became the latest of the major fast-food chains to commit to serving eggs only from cage-free hens. The brand behind Cap’n Crunch doughnut holes and Doritos taco shells was the deciding vote in the animal-rights debate: Cage-free eggs are now the norm. But while the chickens may have flown the cage, the animal-welfare debate rages on. The next front: “fast growth” broiler chickens. For years the poultry industry has intentionally bred its birds to get bigger faster on less feed. In 1925 the average broiler chicken weighed 2.5 pounds when it went to market at 112 days old. 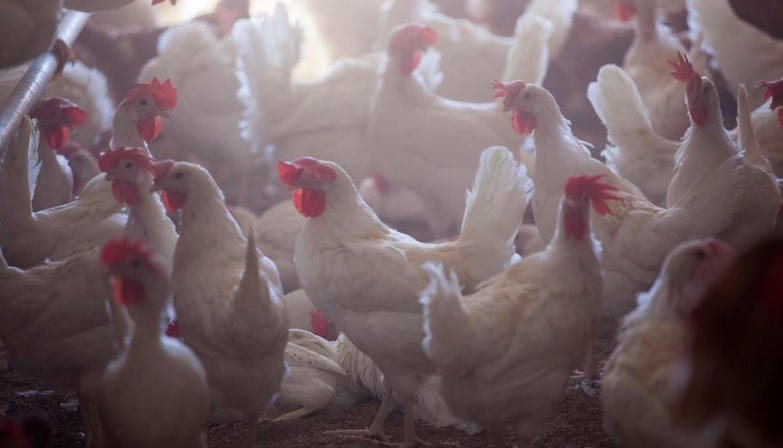 Today the average goes to market after just 48 days at 6.2 pounds—essentially we’ve created giant chickens. That’s great for efficiency but maybe not so great for chickens. The Humane Society of the U.S. says the practices can inflict broilers with leg disorders, weakened immune systems, and cardiovascular problems. 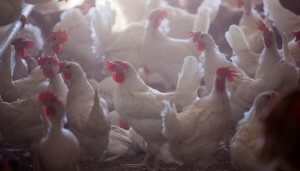 Some of the biggest food companies—General Mills and Nestlé and food service giants Aramark and Compass Group—have acknowledged that fast-growth poultry is an issue to at least discuss. Companies say they are “working to understand” or “working with [their] suppliers to address” it. Definitive language, no—but it sounds a lot like what companies said in the early days of cage-free eggs.